Marc Nassif, the till recently overweight managing director of Renault India, is down to 80 kg after losing 30 kg in the past six months. The next goal of the Cairo-born global citizen is to get the French auto giant's domestic operations, currently ranked way down at No. 13 with a 0.24% market share, into shape.Nassif, who started his career with Renault in the US as an engineering trainee and went on to do stints in Mexico, France, Spain and Brazil, plans to add muscle to the India arm by touching sales of 1 lakh units by 2013-14 as well as pushing up the market share to 5% a year later. "Renault India has a great product plan. The challenge will be to scale up the organisation, dealerships and deliver 1,00,000 vehicles a year. India needs to be among the top 10 markets for Renault by 2013," says the 50-year-old who now steers clear of carbs, sugar and fat.Hitting those targets is a tall order, almost as difficult as keeping Nassif away from dal makhani and tandoori chicken, which he still relishes albeit in smaller quantities. After all, the French automaker sold just under 4,000 units in fiscal 2012. It hopes to do 30,000 units in the current calendar year, hitting sales of 1 lakh units a year later.It's been a rough ride so far for Renault India, and for Nassif who has been associated with the local operation since 2007 when the French automaker had a joint venture with Mahindra & Mahindra. The partnership broke up two years ago and Renault had to virtually start all over again. Three models launched since - the Koleos and Fluence at the higher end and the Pulse in the mass market - have not quite produced the desired objective of making Renault a high-recall brand in India.Nassif does shrug and point out that he often hears consumers referring to the 'Renolt' brand (as against the French way of saying it in which the 't' is silent). But he doesn't blink any longer when he hears the mispronunciation. If they are comfortable saying it like that, so be it as long as they buy the cars, says Nassif with a grin. He's hoping - like many back home are - that the recently-launched Duster sports utility vehicle will do the trick for Renault India. "The last few months have been intense - preparing for the launch, expanding operations and getting the logistics and the right product in place," says the Chennai-based Nassif, who makes a weekend trip to Pondicherry to catch up with his Mexican wife and their two children.The next bet of Renault India is to ramp up sales volumes with the launch of a fifth model, the Scala, by Diwali. A mid-size sedan, the Scala will be a rebadged Sunny, a car launched by alliance partner Nissan in India. The Scala may have a few added features and be priced higher than the Sunny.Nissan and Renault, which jointly manufacture out of a factory in Chennai, followed a cross-badging strategy in the hatchback market too, with the Japanese carmaker launching the Micra and Renault the Pulse. A problem for Renault in India has been its inability to find products from its stable that are appropriate for the Indian market. For instance, the global team had shortlisted the Clio supermini and the Megane small car for the mass market, but they could just not meet Indian price parameters, says a senior Renault official on condition of anonymity. Sylvain Bilaine, whom Nassif succeeded as MD of Renault India in 2009, adds: "He is very comfortable interacting with the Indians and Japanese at the (Chennai) plant. 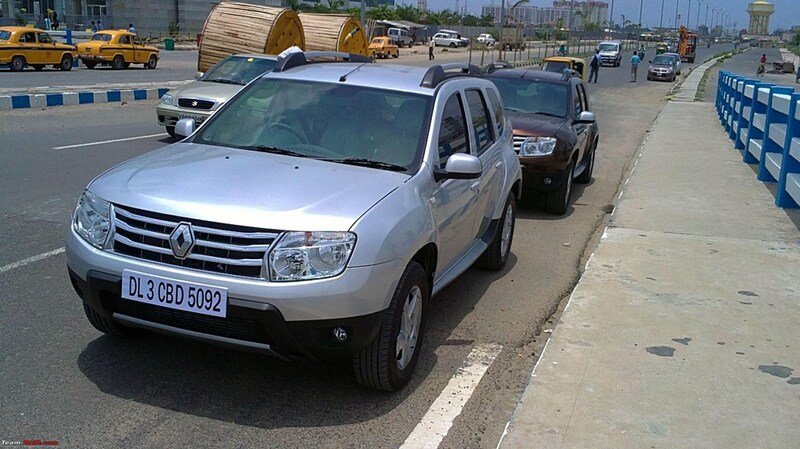 "Still Nassif will have to much more to make Renault more top-of-mind in the Indian market. And he loves a challenge: Last October, he drove through Leh-Khardung La, the highest motorable pass in the world, in a Koleos SUV on a promotional tour. "I got lucky as some of the drivers got sick because of the altitude." He needs to get luckier now, to steer Renault India to scale.